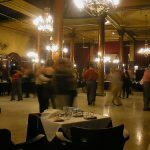 For an authentic tango experience in Buenos Aires, there are many options beyond the professional Argentine Tango Shows. For a different side of Tango, head to Cochabamba 444, the San Telmo milonga where the city’s best tango dancers come to strut across the dance floor with people of all ages, walks of life, and nationalities. The bar is dimly lit by chandeliers with yellow bulbs, giving an aura of antiquity that takes you back to Buenos Aires in its Golden Age of high-society and sizzling tango bars. 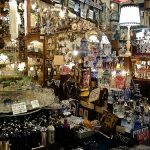 It’s located on a quiet street just three blocks from Plaza Dorrego, where the Sunday antiques fair is held. If you’d like to try out your dancing shoes, tango lessons are offered Thursday and Friday nights at 8pm at Cochabamba 444 (arrive a little late and there’ll be no problem – this is Argentina, after all). The teacher gives the class in Spanish, but if your Spanish isn’t great have no fear, because there is bound to be some English-speaking expat or even an Argentine who will happily translate for you as you whirl around the floor (or trip over your own feet, as the case may be). 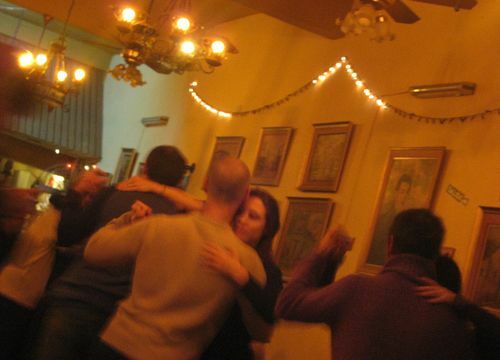 There may be better places in Buenos Aires for instruction on dancing tango than Cochabamba 444, but this milonga is really known for is its atmosphere and music. If you just want to come to watch the dancers and enjoy the music, you can show up around 10pm or 10:30pm and grab a table near the modest bar in the back. The bar serves bottles of cheap wine and things to munch on like empanadas, and picadas (plates of meats, cheese, olives etc), all at very low prices, even by Buenos Aires standards. Overall, the bar is populated by Argentines who are serious about tango, but there are certainly some foreigners on the scene too. Once the music starts, even the most unassuming of patrons will whisk out on the dance floor and dazzle you with their grace, covert sensuality, and intensity. There’s a method to the madness, though: the culture of tango is outlined in strict rules that you can only learn from being a part of it. For example, the men always ask the women for a dance, and sometimes it’s done subtly with just a raised eyebrow. And once a couple is dancing tango, they will continue as partners for an entire song set. Toward the end of the night, Cochabamba 444 will typically offer some sort of performance. It’s usually a traditional live tango band, who will bang out classic tunes with style on a stand-up bass, bandoneon (the type of accordion used in tango), and piano. Sometimes, however, you might get lucky and see a hilarious puppet show or a singer belting out some soul tunes. Make note that Thursday night is arguably the best night to go, although you will probably also see some spectacular dancing and live music on Fridays too. Make note, dress is casual but it’s best not to wear jeans and sneakers, as tango culture is somewhat more refined and traditional. You may not easily meet other travelers or Argentines at Cochabamba, but you will certainly observe a beautiful dance, authentic tango culture, and stirring musical performances. Tango Salons in Buenos Aires Beyond the shows and street performances, local tango culture in Buenos Aires can still be experienced in its true form. 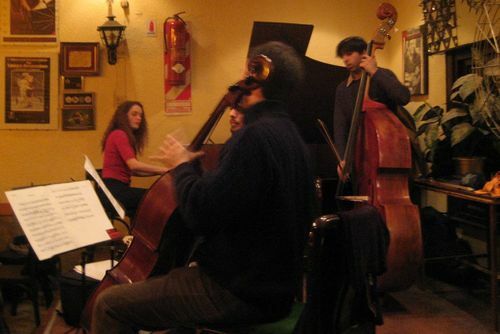 This post explains how in an overview of the many types of local tango salons. Glad to have you, as a tango fan, on the team, because to be honest, tango really is my major weak spot when it comes to Buenos Aires knowledge. 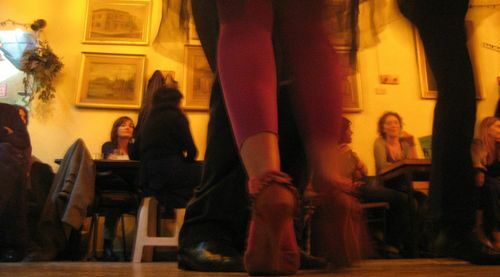 Anyway, looking forward to having more posts from you, be they about tango, or other interesting places in Buenos Aires. If something comes to mind, I’ll let you know! I have a controversial style, would that work? 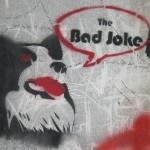 I’d love a regular reader/commenter like yourself to contribute. I’ll send you an email about it now. Thanks! we’re booking an apartment in san telmo for october. thanks for your help finding coachabamba. we’ll stop by.